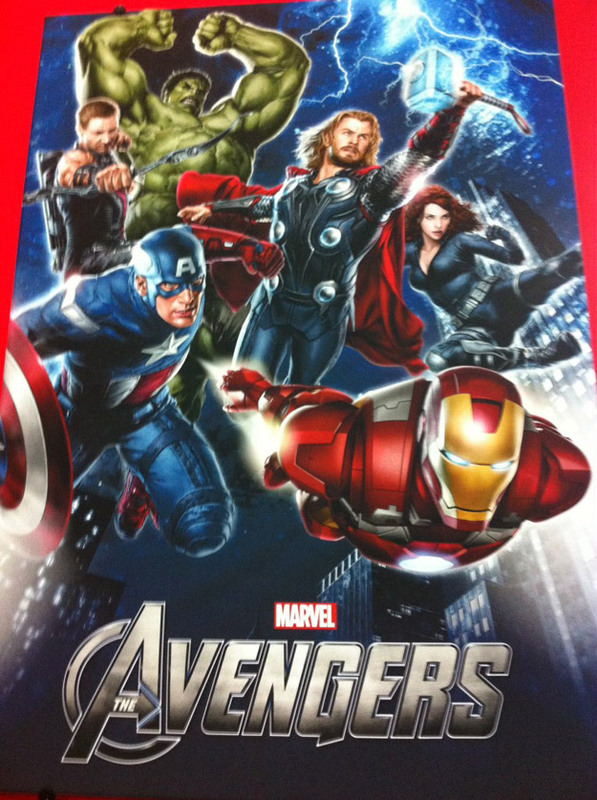 Marvel Studios recently released a promotional poster for The Avengers at the Licensing International Expo. SuperHeroHype was kind enough to snap a photo to share online. The redesigns for both Captain America and Iron Man are growing on me — and we finally get a better look at Hawkeye. It isn’t surprising that he isn’t in a mask, considering in Thor he’s a member of SHIELD. Directed by Joss Whedon, The Avengers stars Robert Downey Jr., Chris Evans, Chris Hemsworth, Mark Ruffalo, Jeremy Renner and Scarlett Johansson. The film is out May 4, 2012.